You are here: Home / You / Journals / Reading Tracker Bullet Journal Ideas – Movies & TV Shows Too! 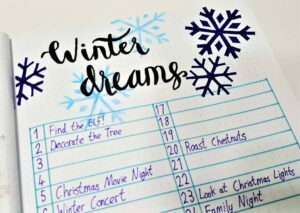 Reading Tracker Bullet Journal Ideas – Movies & TV Shows Too! I’ve talked a lot before about how much I love my bullet journal to track every aspect of my life! 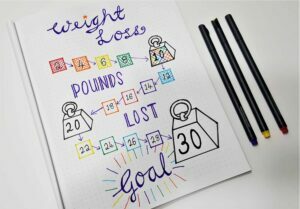 I use it to track my weight loss, healthy eating, Christmas gifts, even who I’m sending Christmas cards to! If you want to use more information about starting a bullet journal – check out my post all about starting a bullet journal! Also, want to start a bullet journal but on a tight budget? Check out my Complete Guide to Cheap Bullet Journal Supplies. One thing that I love tracking in my bullet journal is the books that I want to read. An important part of self-development is reading lots of different books on different subjects. When I’m reading a book or article it will often reference another book that I want to read. In the past, I might write it down on a scrap of paper or try to remember the name of the book next time I was looking for something to read. That technique didn’t work so well! I hate to think about the number of amazing books that I have missed out on reading because I forgot the name of them! So when I started using a bullet journal to track different aspects of my life, it seemed only natural to make a list of the books I want to read too. Below is my Reading List. 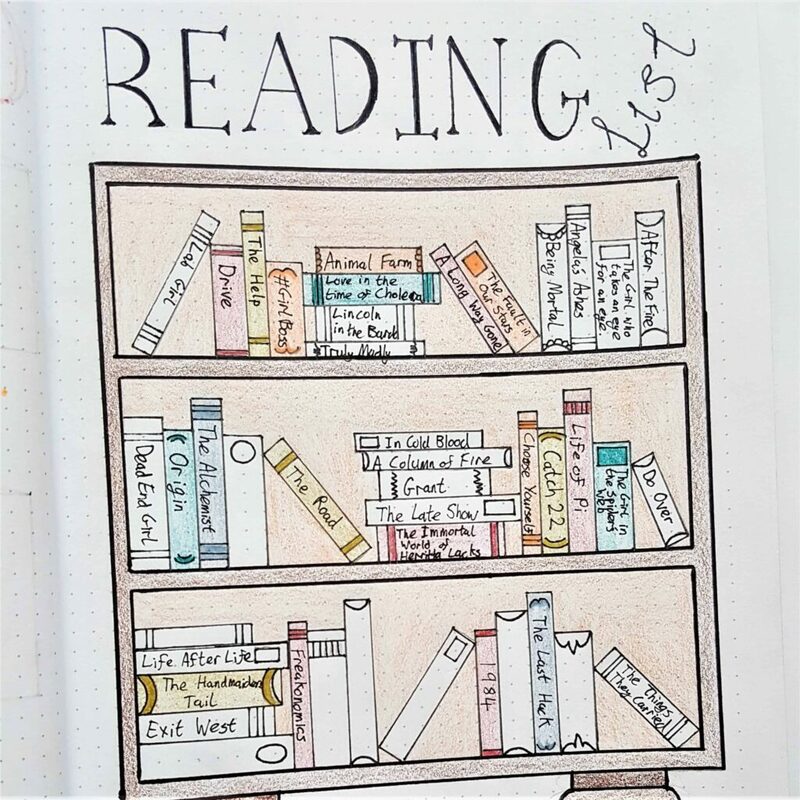 I got the idea from Instagram and Pinterest to draw a bookcase and books. As I find a book that I want to read, I write the name on one of the books. Once I’ve read the book I get to color it in! 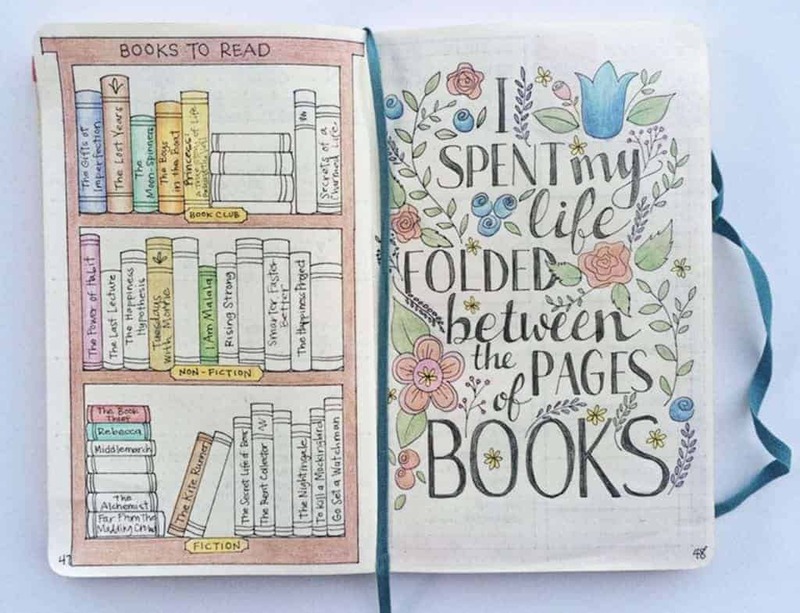 It actually makes me more motivated to get through my reading list because I want to color in all the books and make the page all really pretty! 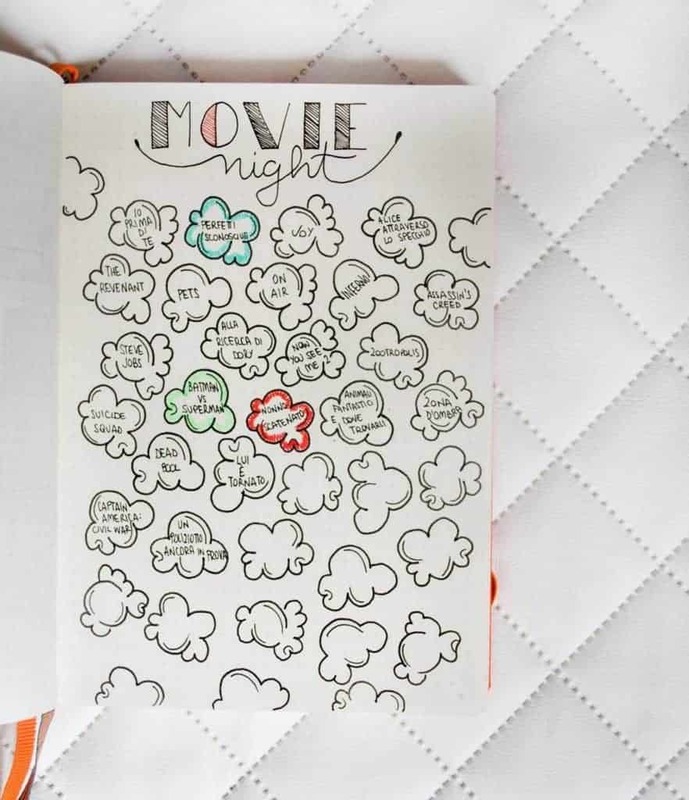 There’s so many different ways to use your bullet journal. It really is an amazing way to keep yourself organized. My life is so much easier with a bullet journal! I also love having a creative outlet. I’m not really an artist, but while working on a new spread I often zone out and it helps clear my mind. If you want to start your own bullet journal but don’t know where to start, why not check out our Complete Beginner’s Guide to Starting a Bullet Journal. 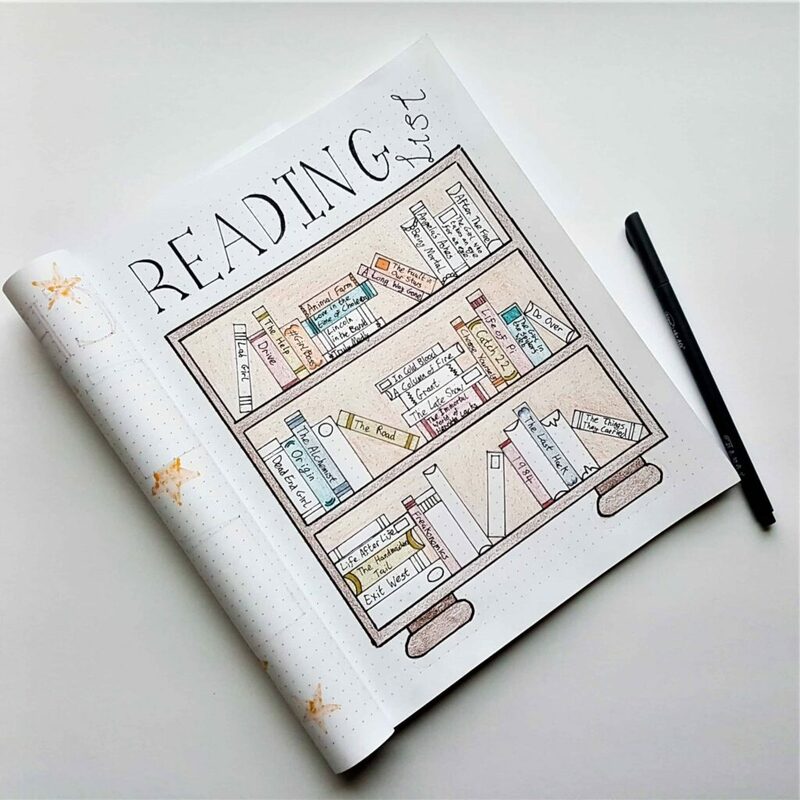 Here’s a beautiful book tracker by Heidi Currie on Instagram. She has some really beautiful layouts. I love the inspiration quote she includes with this one. It’s not only books you want to read that you can track. You can also track movies you want to see! I love this popcorn layout by Stefania on Instagram. It’s so fun but also really useful! 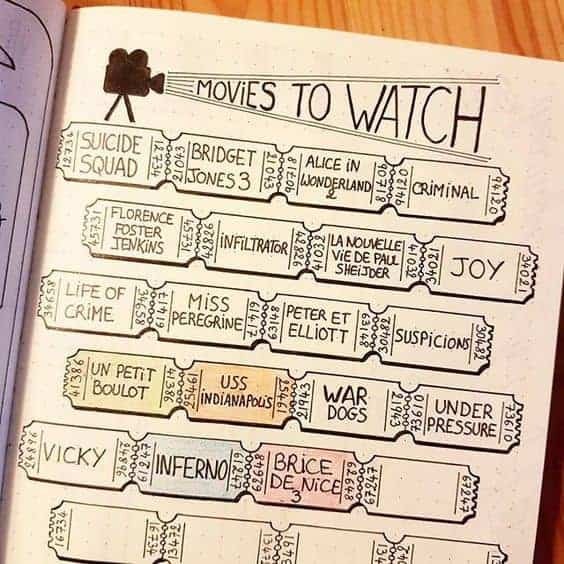 When I get my new bullet journal I think I’m going to have a movies to watch page too! I love the old style movie feel of this movie tracker by Didy Panpie on Instagram. Didy has some wonderful and very colorful spreads on her Instagram feed – you need to check them out! 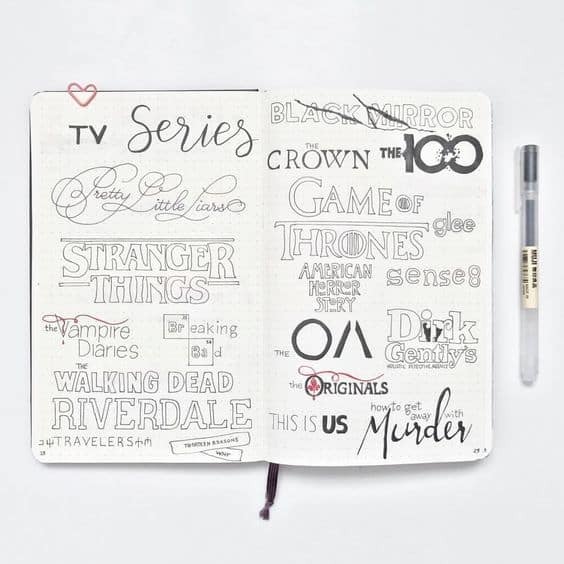 You could also try tracking the TV shows you want to watch or where you are up to in a season in your bullet journal. This spread from Lulu Bujo on Instagram is amazing! I love all the different lettering she uses. I’m still learning lettering, so I can’t imagine doing a spread as pretty as this one! There you have it! 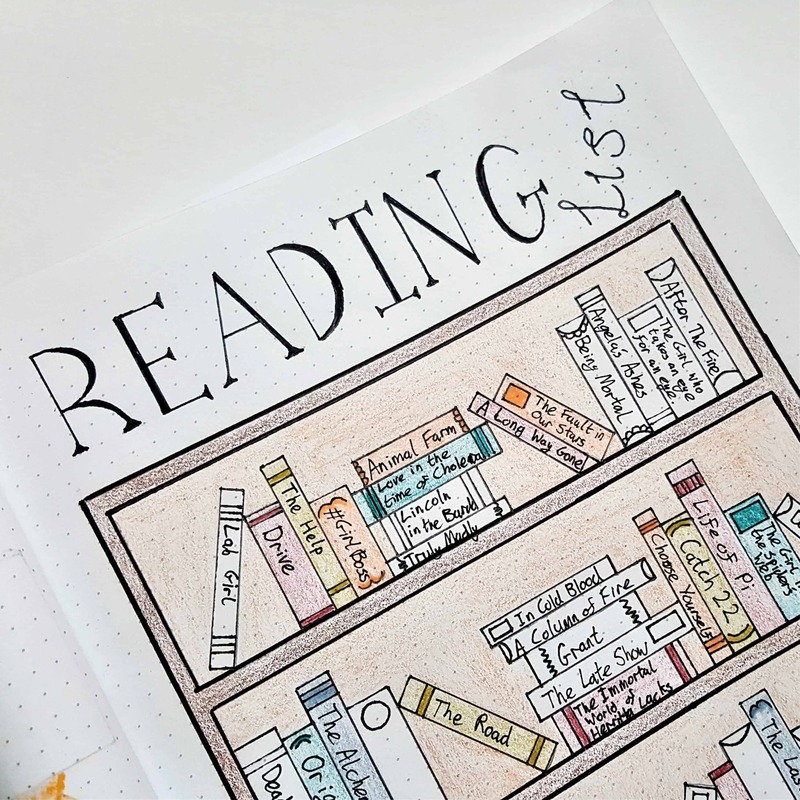 Five great ways to use your bullet journal to track your reading and watching habits! I’d love to see how you use your bullet journal to track different aspects of your life. Share you ideas and links in the comment section below. Time to Quit Your 2019 New Year's Resolution! 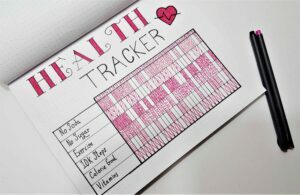 30+ Totally Awesome Habit Tracker Ideas in your Bullet Journal for 2019!